Birthdays are not just celebrated for marking another year of joviality and merriment. They are the reasons for a person’s encouragement to accomplish bigger goals and aspire for higher in the successive year. Since ever, there has been a tradition to greet the fortunate people on their special days with most ecstatic presents. You need to be very quick on spinning out innovative Birthday Gift Ideas as to make your loved ones overwhelmed with joy. The birthday presents must be the ones that are eloquent enough to convey your sincere love and extend your fortunate wishes to the recipient. Besides, they must be so pleasant that they can inspire anyone to be ebullient than ever. The best way to make anyone buoyant and exuberant is to send Personalized Gifts that convey a profound meaning of love to the receiver, besides exciting him with the bliss of life. Since your childhood, you have tried innumerable ways to send the heartfelt messages to your loved ones on their birthdays. As you grow up the way of expression might change, but the expression remains the same. 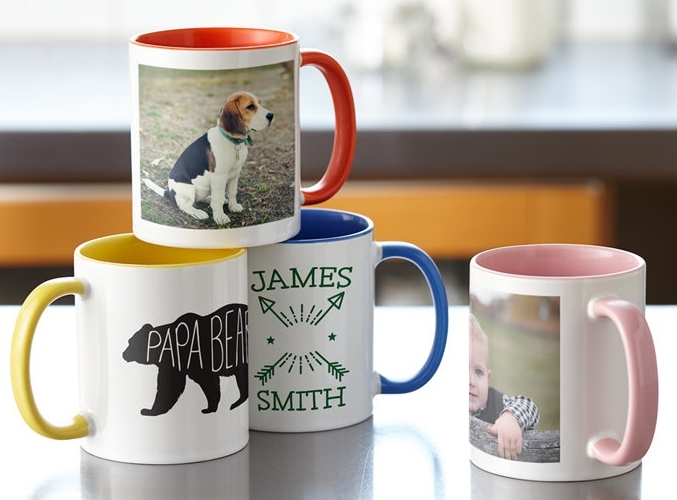 One of the most eloquent ways to delight someone on his birthday is to send personalized mugs with a special message for him. Heartwarming messages imprinted on the Customized Coffee Mugs that can really please fortunate person on his/her birthday. This is one of the most common and gripping Personalized Gifts that are all the rage these days. 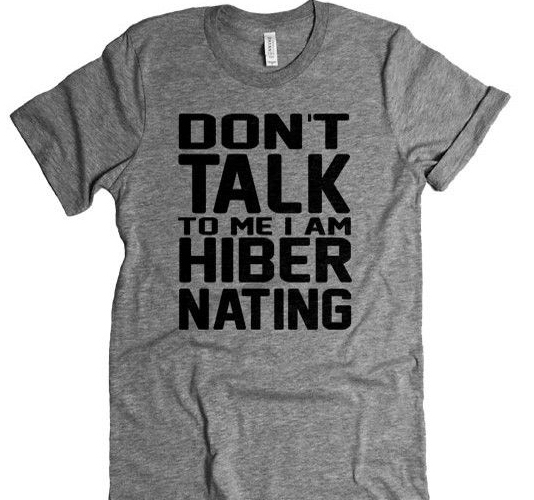 Gifting Personalized t-shirts are the best way to enliven the mood of your closed chum. There is a huge variety of such t-shirts that convey your heartfelt message, while others convey your love through your cute photos. In this techno savvy era, people do not carry their phones only for communication; they keep the whole world on their finger tips. A modish cover for your friend’s Smartphone will definitely add to his style statement. It’s a great idea to extend your sincere and fortune wishes on the Smartphone cover. 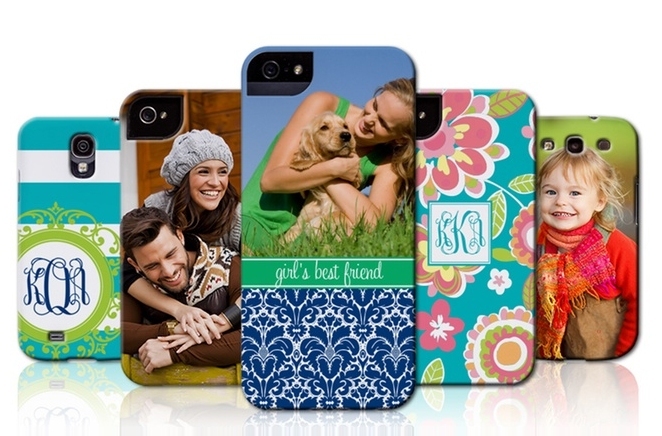 A Personalized phone cover with your loving message on it can really gratify your cute buddy. 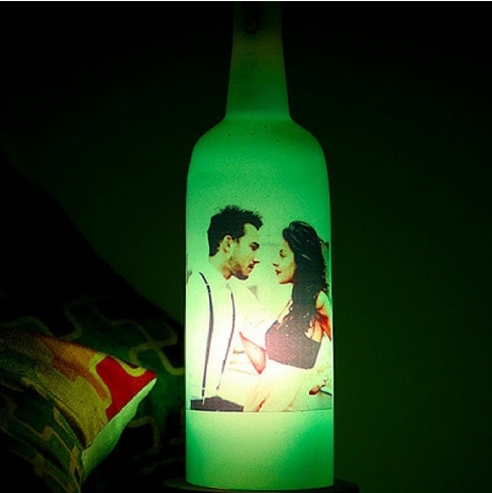 The most exuberant way to make your love for your dear one become discernible to everyone is by sending personalized bottle lamps that come in a wide variety of colors and designs. The most appealing part about them is that they make you love shine in the bright, just as the special message or your photo gleams in the glow of the lamp. This is one of the most innovative Birthday Gift Ideas. These are some of the heartiest Personalized Birthday Gift Ideas that can lift your loved one to the highest level of bliss on his most fortunate day. Birthdays are indeed those special days that one can never forget. Sending Personalized Gifts to someone on his birthday not only shows the decency but also helps to impart your untainted love towards him. You can easily explore these gifts on this most celebrated e-gifting portal, Giftalove.com. This renowned portal is known for its swift delivery service that is sustained with the seamless and vast gifts delivery network.